movie reviews, book reviews & more! The 1950s for Saul Bellow were glorious years in terms of creativity: in a relatively short time, he produced the sprawling The Adventures of Augie March followed by the compact masterpiece Seize the Day. The 40s for Bellow though were ruminant years, where his work took on a seriousness and solemnity that was shucked off later when he developed his big city pace and conversational writing style. The Victim, along with The Dangling Man, was a product of the 40s. Very early on, anyone who has read a sufficient amount of Bellow will notice a difference in the style. For one thing, it describes people walking from point a to point b. In his later books, he’d jump around forward and backwards in time, but rarely dwell on the staging of his scenes. Here, he’s very concerned about how his protagonist gets across town and so on. The story centers on Asa Leventhal, a middle-class trade journal editor who tries his best to keep a stiff upper lip and rarely experiences the highs and lows that Bellow’s later creation Augie March does. In one of the early chapters, it is described how close Leventhal came to pursuing a career in civil services, then is thankful he bowed out of it. The novel packs a bizarre fate for Leventhal though, as a walking civil-service case ends up showing up at his door, and everywhere else for that matter. The man’s name is Kirby Allbee, and he believes Leventhal is responsible for him losing his job several years ago. Allbee attributes much of the recent hardships he’s faced to this loss, and demands some sort of reckoning or remuneration from Leventhal. What makes matters worse is that Allbee is an unflagging anti-semite and Leventhal is Jewish. That’s the premise of the book, and I won’t give more of the plot away. The theme of The Victim deals, on one level, with anti-semitism, but on another with racism as a whole. It takes the uncommon road though and explores the way in which it’s sometimes the victims’ attitudes that exacerbate the racial divide. Plainly, Leventhal is the victim of Allbee’s anti-semitism, but on another, Allbee is the victim of the victim, as Leventhal so frequently treats Allbee with disgust without pausing to empathize with him. There’s no validity to racism, but sometimes we have to make allowances to the confused. So if you’re looking for a serious book that’s quite depressing but ultimately enlightening, check out The Victim. It’s been out so long a good used book store should carry it for cheap. 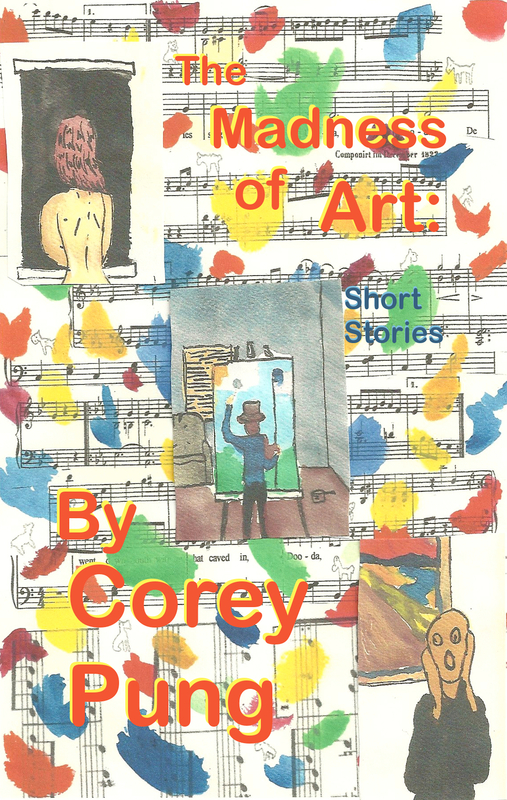 —-If you’d like something a bit more whimsical, read my book The Madness of Art: Short Stories on Amazon or Barnes and Noble. « Great Movie You May Not Have Heard of: They Live by Night. Enter your email address to subscribe to this blog and receive notifications of new posts by email. There's no charge--it's free! It's available in paperback and as an ebook, both on sale! A site I made to write about comic books. Overlooked Book: Life is Elsewhere, by Milan Kundera. There’s More Than 200 Posts on Coreysbook!